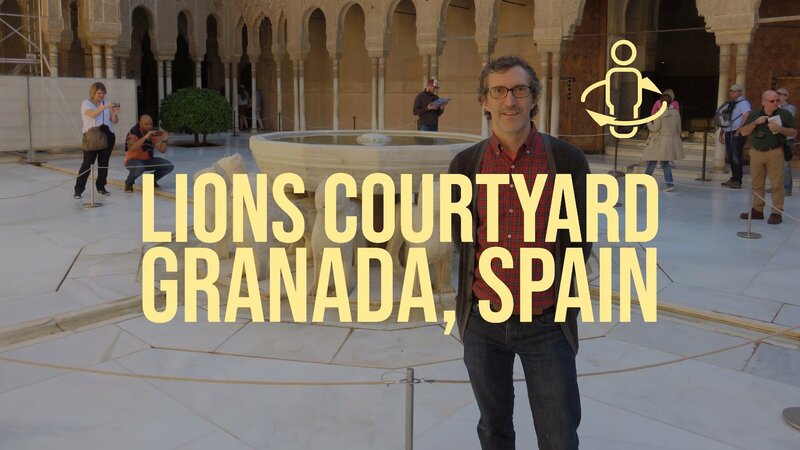 Here I am spinning at the Courtyard of the Lions. The Courtyard of the Lions (Spanish: Patio de los Leones - Arabic: بهو السباع‎‎) is the main courtyard of the Nasrid dynasty Palace of the Lions, in the heart of the Alhambra, the Moorish citadel formed by a complex of palaces, gardens and forts in Granada, Spain. It was commissioned by the Nasrid sultan Muhammed V of the Emirate of Granada in Al-Andalus. Its construction started in the second period of his reign, between 1362 and 1391 AD. If you are interested in a new project or collaboration don't hesitate to shoot me an email. Copyright ©2019 Alexander Westerman. All Rights Reserved.